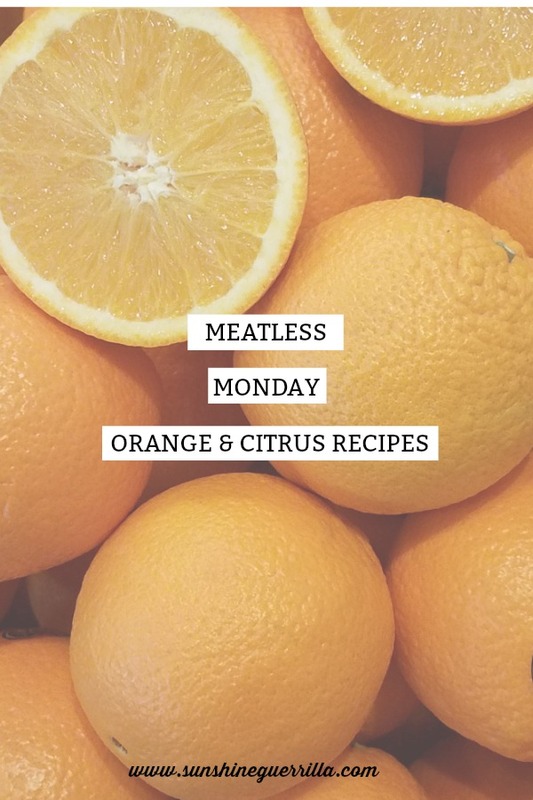 On Mondays, we are exploring vegetarian meals for meat eaters. Cooking with seasonal vegetables can seem really limiting at first, but the possibilities are endless. And it is worth it. Just cutting one day of meat eating out of our diet can keep thousands of tons of CO2 out of the atmosphere a year. No seriously, it's that big a deal. Plus, it's a great opportunity to have some new adventures and try new things. Just another way to take care of the planet AND make life a little bit better! We were just on a trip, and not only did we avoid the snow, but we got to eat a lot of fresh fruit too! In fact, the very first morning of our trip, our mom made us orange juice from her yard, and I have been pining for it ever since. Actually, citrus at this time of year is not uncommon. 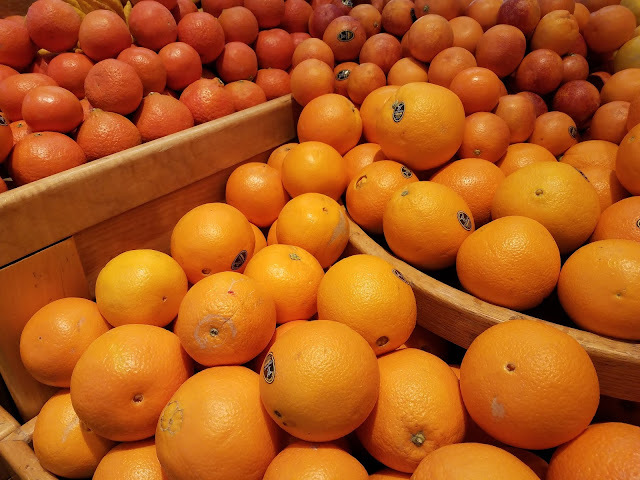 Every time I walk into our local grocery store, a bright beautiful display of citrus is there to greet me. I love this fruit, especially oranges, but we don't often use them for anything but a snack. Here are a few delicious-sounding recipes that can help you work bright citrus into these grey winter months if you are living somewhere without the sunshine (or embrace these fruits if you live somewhere with lots of sunshine!). 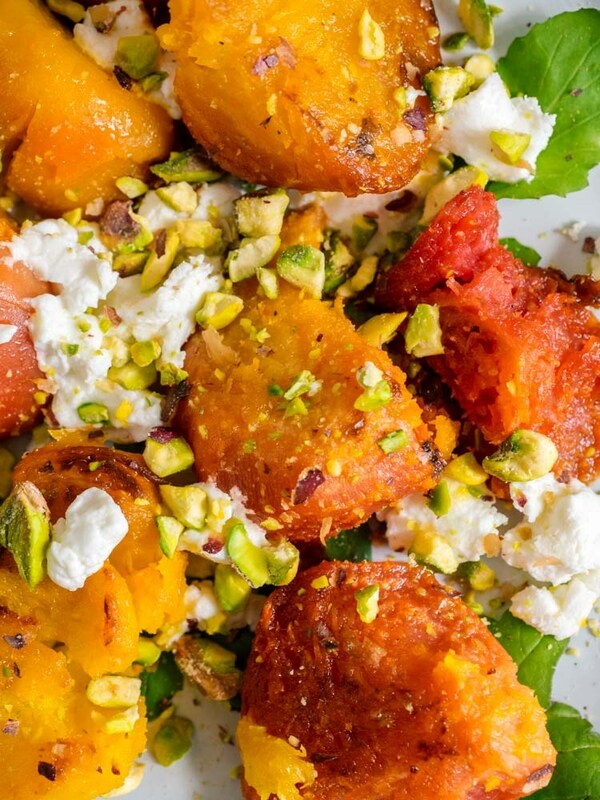 It doesn't get much better than beets and goat cheese, but based on the recipes I am finding, the combo can also fit some orange in there! This recipe from The Seasoned Vegetable combines all three, so you get the earthy beet, creamy cheese, and tangy orange in one delicious salad. I want to eat all of this! If you love citrusy Chinese flavors, but you don't love tofu, it can be hard to replace those chicken dishes. 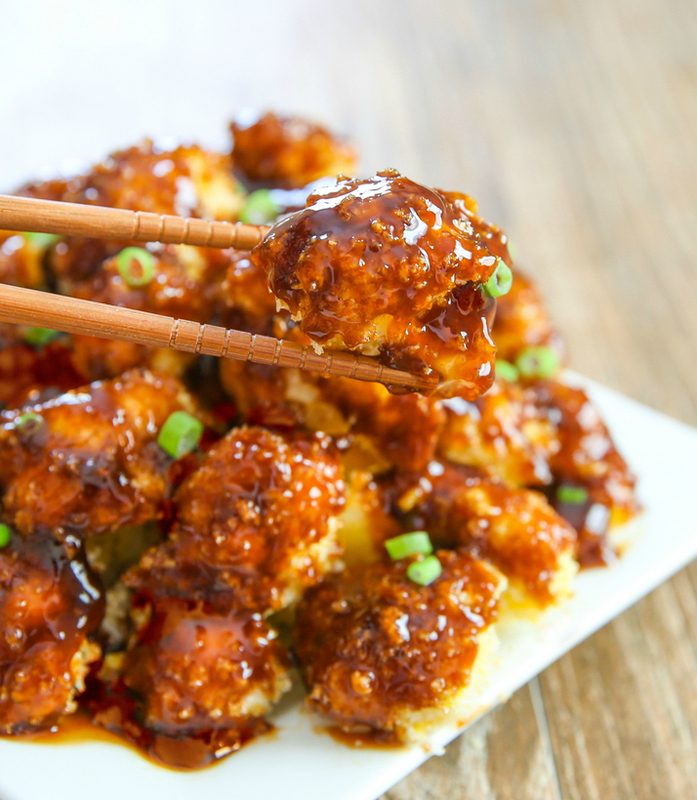 This cauliflower dish from Kirbie's Cravings perfectly replaces orange chicken with a healthier (and baked!) alternative. If you want a less healthy version, this one from Aline-made is actually fried. 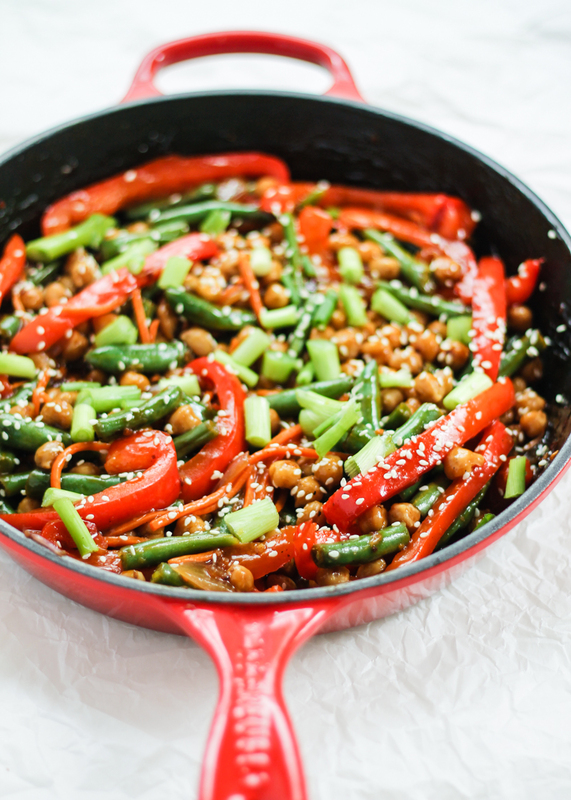 You can also embrace a stir fry with orange sauce and absolutely load it with veggies. I think this stir fry recipe from Ambitious Kitchen looks so good, and you can have a healthy meal with lots of variety. 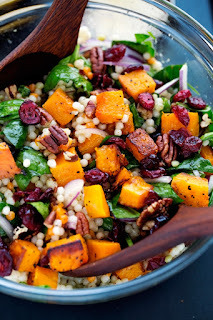 This warm couscous and butternut squash salad from Little Spice Jar only uses orange juice in the dressing, but I think you could amplify that flavor and add some oranges into the salad itself too. Either way, the wintery flavors of squash and cous cous seems like an unexpected match with the orange flavor! 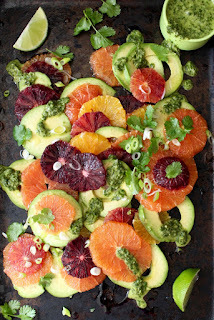 If you are somewhere tropical, or you want a summer citrus recipe, this avocado and orange salad from Ciao Florentina looks like a showstopper. Doesn't it look like a fresh summer night? And you start sprinkling green onion on things and I always get excited. Are you in a tropical area? How do you take full advantage of all the citrus while also eating meatless meals?